Last weekend I attended a lovely wedding by the sea in Maine. The scenery was so gorgeous I couldn't help but take pictures! Since the dress code was beach formal, I wore this nautical dress with modern details from Topshop. I love the oragami style skirt and triangle cutout at the bodice. 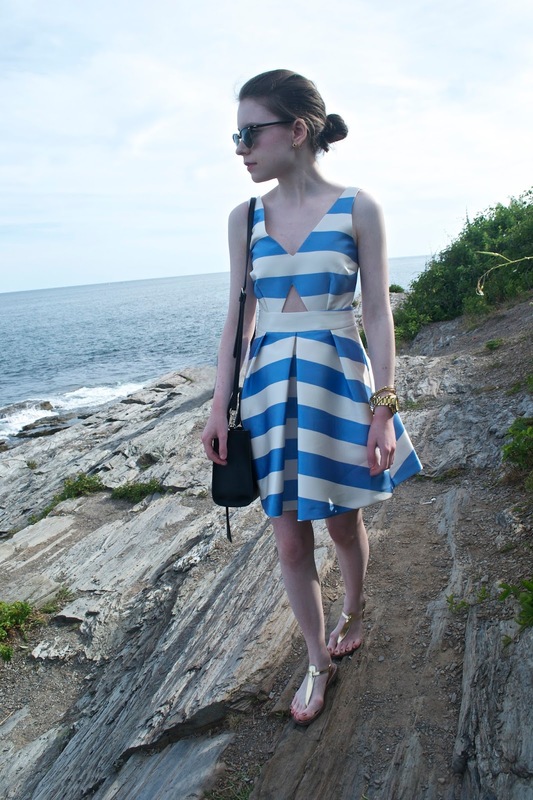 The blue and white stripes lend oceanic appeal. My Ray-Bans, gold sandals, gold jewelry and Mini MAB bag keep this look anchored.